DAVAO CITY — It was supposed to be a secret, but President Duterte accidentally spilled it: P50 million had been paid to Abu Sayyaf bandits for the freedom of Norwegian hostage Kjartan Sekkingstad. The Philippine government has a policy of not paying ransom to kidnappers. But in an apparent slip of the tongue during a news conference in his hometown of Davao City on Wednesday night, Mr. Duterte said ransom had been paid for Sekkingstad, who had yet to be freed by his captors. 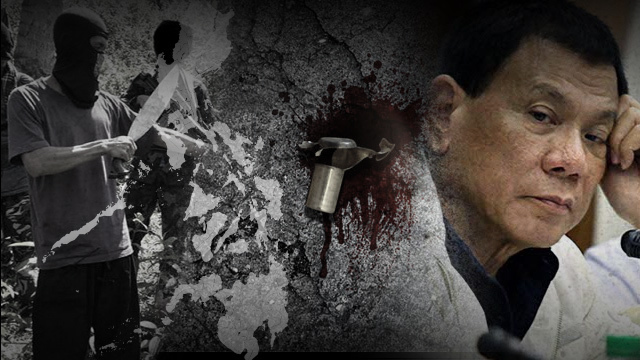 Mr. Duterte was asked if he was aware of the beheading of a kidnap victim in Sulu province on Tuesday. “If that’s the one, then I will accuse the Abu Sayyaf of acting in bad faith. They have been paid P50,000 already,” he said. He corrected himself and said the ransom paid was P50 million. The question referred to the beheading of 18-year-old Patrick James Almodovar, who was kidnapped by the Ajang-Ajang faction of the Abu Sayyaf in Asturias village, Jolo, on July 16. After the slip, the President reiterated his order to the military to find the lair of the Abu Sayyaf and destroy the bandits. “Destroy them. Period,” he said. Mr. Duterte refused to say where the ransom money came from. “Maybe from my bank,” he jested during an interview. The Abu Sayyaf earlier demanded a P300-million ransom for the freedom of Sekkingstad, whom the bandits kidnapped with Canadians John Ridsdel and Robert Hall and Filipino Maritess Flor from a marina on Samal Island, Davao del Norte province, in September last year. The bandits beheaded Ridsdel in April and Hall in June after they failed to get ransom from the Canadian government. They freed Flor on June 24. Almodovar was the first to be kidnapped and killed by the Abu Sayyaf under the Duterte administration.